Brother strongly recommends that customers use only genuine Brother drum units and/or toner cartridges. Each Brother laser printer is designed to work at pre-set temperatures that are matched exactly to each of our individual toner formulations. Each individual component is designed to work with the other to ensure quality and reliability. Using non-Brother supplies may affect the hardware performance, print quality and machine reliability. 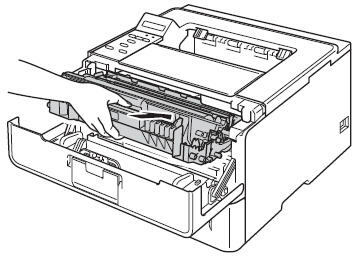 The Brother limited warranty does not apply to any problem that is caused by the use of third party drum units, toner cartridges or toner. toner cartridge (TN720, TN750, or TN780)? new, genuine Brother toner must be installed. 2. 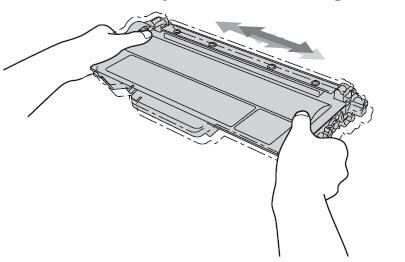 Open the front cover and remove the drum and toner assembly. of accidental spill or scatter toner. 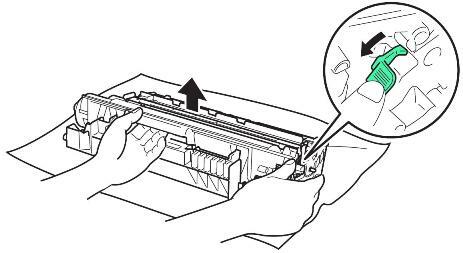 Gently rock the toner cartridge from side to side. 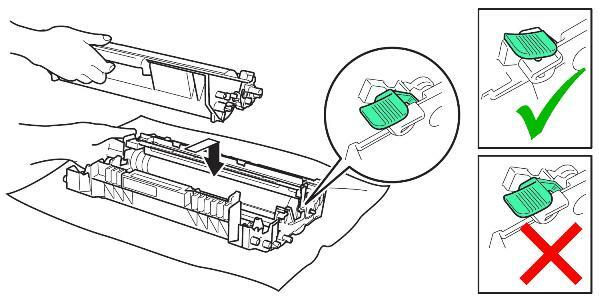 Reinstall the toner cartridge into the drum unit. cleared, call Brother Customer Service at (1-888-800-8575).